Originally from Charlotte, N.C., Daphne earned an associate degree in business administration in 2016 before transferring to Meredith. She chose to attend Meredith because she knew how strong the reputation of a Meredith degree is in North Carolina. As an independent student, Daphne has had to overcome a number of financial challenges during her time at Meredith. 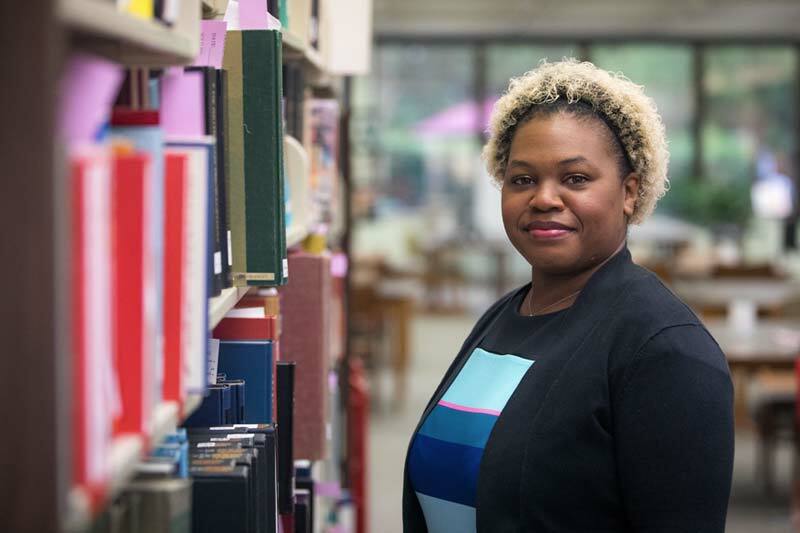 To support herself, Daphne works on campus in the circulation department at Carlyle Campbell Library in addition to pursuing her degree as a full-time student. Despite the challenges she has faced, Daphne’s resolve has not wavered. Despite her busy schedule, Daphne has been active on campus. She has been involved with the Student Government Association (SGA), and has held a number of leadership positions, including president of Women in New Goal Settings (WINGS) and vice president of the Black Student Union (BSU). Daphne currently serves as president of BSU. “I have taken almost every opportunity presented to me to assist with growing in my leadership skills while being a servant leader to others on campus as well as the community outside of Meredith,” Daphne said. Daphne feels that working with her peers in leadership roles has inspired her and allowed her to encounter new perspectives. She hopes to use the knowledge she has gained in her future career as a politician. Daphne currently works as legislative assistant for Senator Erica Smith. She also has several goals laid out for her future. She intends to apply for an internship in 2019 with the Congressional Black Caucus in Washington D.C., and has plans for continuing her education.